HOW TO CURE YOUR RACISM! I've been living in France for the past 9 months and it has been the ultimate experience. It amazes me how Europe being so small (compared to the USA) can have so many extremely different cultures within a 2hour train ride. It makes one realize how petty the white vs black battle is in America. We see each other everyday, let's please let it go! The thing is, it's kind of hard to be "color racist" in the EU when people here can literally be from anywhere in the world. For instance, look at me, I'm from East Cleveland, Ohio what are the chances of me living in Grenoble, France? It makes one halt to his own ignorance because the world is HUGE and we don't know it all. Being from the States, I take great pride in representing the hip hop culture, I receive great love by the way I talk, dress, and carry myself. I am unique, as we all are. 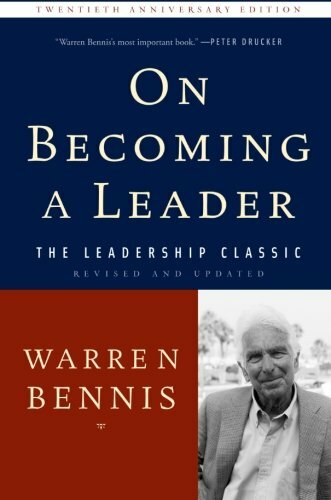 One of my favorite books is by Warren Bennis "On Becoming a Leader"
What I learned from this is that the sense of self is extremely important, you learn who you are by the qualities you hold on to once everything around you is different. My family and I just left a Booze Cruze boat ride on the mediterranean sea, I met a Gent from the UK named Danny, same age as I (25), he's currently living in Barcelona for work. After the boat ride Danny, my sister and I hung out, he showed us around Barcelona and introduced us to new friends. We were very appreciative of Danny's hospitality, he spoke to me of how Karma is real (even his girlfriend's name is Karma). The good you do to/ for others not only gets reciprocated but also spreads to the people others encounter, thus creating a chain reaction of positivity and great energy. I do believe Karma lies within initial kindness but even more so in the response to ignorance and bad energy. Upon saying goodbye, Danny showed us his tattoo on his right thigh of Charlie Chaplin, he told me to check out Chaplin's "The Great Dictator" speech. I took note of it in my iPhone then fetched a taxi to head to my hotel. Jumped in the cab, being the social butterfly I am, I always talk to cab drivers because they're people too lol. I proudly told the driver I was from the United States and asked where he was from, speaking robotic like english he replied "Pakistan" and continued to say "how we live, speak and dress is extremely different from the rest of the world." At that moment the energy shifted and I FELT IT, RACISM. I MYSELF WAS RACIST! I suddenly feared for my life inside that cab. Why? Why was I in fear? Why was I racist and this man who posed no threat to me? I was forced to be honest with myself, this feeling was coming from my own ignorance. FEAR + IGNORANCE = RACISM. The only knowledge I had of Pakistan was that of great terrorism and the groups of Taliban & Al Queda. Too much CNN and not enough real knowledge to accept his man as my brother. So I judged him from my own ignorance. In life, DEATH is the only sure thing. From the fear of death we fight, judge and kill to protect our beliefs and things we love most. In that cab ride I checked myself and realized it was ME, I was the problem. I was inside my own ignorance and needed to escape, I did and I realized that.. THE ONLY CURE TO RACISM IS KNOWLEDGE! ALONG WITH THE WILLINGNESS TO ACCEPT DIFFERENCE, ALONG WITH THE WILLINGNESS TO CHANGE YOURSELF AND YOUR PERSPECTIVE. TO REALIZE YOU SUFFER/ HAVE SUFFERED FROM YOUR OWN IGNORANCE IN WHICH YOU NEED TO ESCAPE IMMEDIATELY! THEREFORE WHEN YOU BLINK & LOOK BACK AT THAT PERSON YOU CAN ACCEPT HIM AS MAN! NOT A CULTURE, NOT A COLOR, NOT A REP OF A STATE, COUNTRY OR REGION BUT A FELLOW MAN AND A FELLOW HUMAN BEING! Arrived at my hotel and thanked the man. I immediately watched the Charlie Chaplin speech and learned exactly how the way of man should be. Peep the chain of events. Watching Charlie Chaplin's speech where I gained even more perspective. The brain is plastic, which means it has ability to change throughout life. I woke up the next morning surfing the internet to conquer my ignorance by learning more about the life in Pakistan. Typed "Pakistan" in Google to find a series of headlines about a USA conducted Airstrike on Pakistan just hours before my search (see link here). I won't get into the details of the strike but to be short and simple, a terrorist leader was killed and Pakistan leaders say that the strike was a "Violation of Sovereignty"
Hmmm.. I sat with myself and thought, maybe my real fear was paying for an act/s I didn't personally commit. Being American speaking to a man who could have lost a brother, mother or child under previous US fire that I had no knowledge of. His statement disturbed me, it startled my ignorance. This battle was all within self, it was all in my head. In life we must conquer ourselves, winning the inner battle to avoid the outer war. As an American I apologize to the people of Pakistan who lost family and loved ones due to any way war or strike. I also apologize for placing judgment and ignorance where there should be knowledge along with kindness. Through technology and social media it has become extremely obvious that humans just want to be closer together. The global community is arising. Remember racism is a feeling and what we do with that feeling creates good & evil. Let's all choose peace and embrace our differences. I am American but.. I am not at war nor am I apart of any war or violent acts committed! I am a citizen of the world! I hope YOU are too! "As long as men die, liberty will never perish"
Posted on May 23, 2016 by Javone Armada and tagged barcelona racism racist france European Union Pakistan US Military terrorism al queda taliban usa war charlie chaplin life experiences karma travel stories.